Fall is here and the holidays are fast approaching. It’s time to turn on the ovens and start baking. Apples are one of the best fruits to bake with, especially this time of year. No holiday is complete without fresh apple pie, warm apple cider or tasty caramel apples. Their are many apple varieties and we want to make sure you are using the perfect apples for your holiday baking. 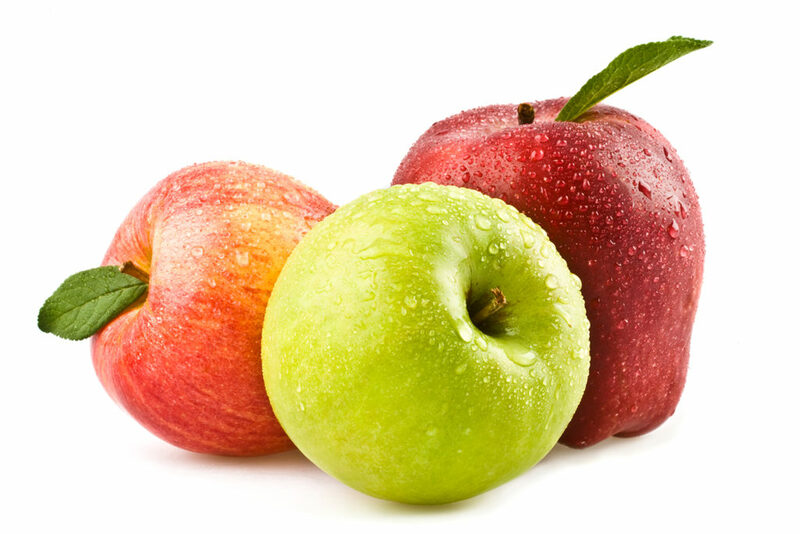 We have put together an easy guide to apples to help you narrow down your choices. Utah State Students, Come Sign Up! Utah State Students…Do you like free groceries and free skis?? If so, come join us at Macey’s in Logan or Providence on November 4 from 9-2. Sign up for our student rewards program*, receive a free snack pack including items from Coke, Frito Lay, US Bakery and more, and be entered to win a free pair of Rossignal skis! Already signed up? Still come and get a free item and also be entered to win Rossignal Skis! *Our student rewards program will give you 10% back into your rewards wallet for every purchase you make on a Thursday. UVU Students, Come Sign Up! 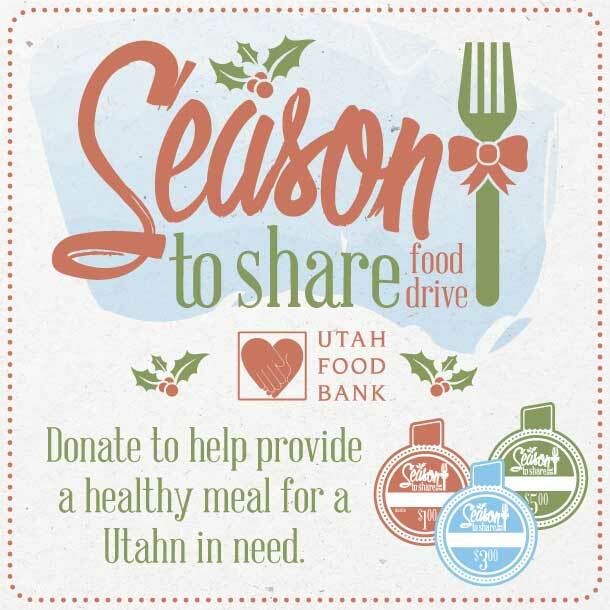 UVU Students…Do you like free groceries and free skis?? If so, come join us at Macey’s in Orem or Provo on October 29 from 9-2. Sign up for our student rewards program*, receive a free snack pack including items from Coke, Frito Lay, US Bakery and more, and be entered to win a free pair of Rossignal skis! BYU Students, Come Sign Up! BYU Students…Do you like free groceries and free skis?? If so, come join us at Macey’s in Provo or Orem on Saturday, October 29 from 9-2. Sign up for our student rewards program*, receive a free snack pack including items from Coke, Frito Lay, US Bakery and more, and be entered to win a free pair of Rossignal skis! University of Utah Students, Come Sign Up! University of Utah Students…Do you like free groceries and free skis?? 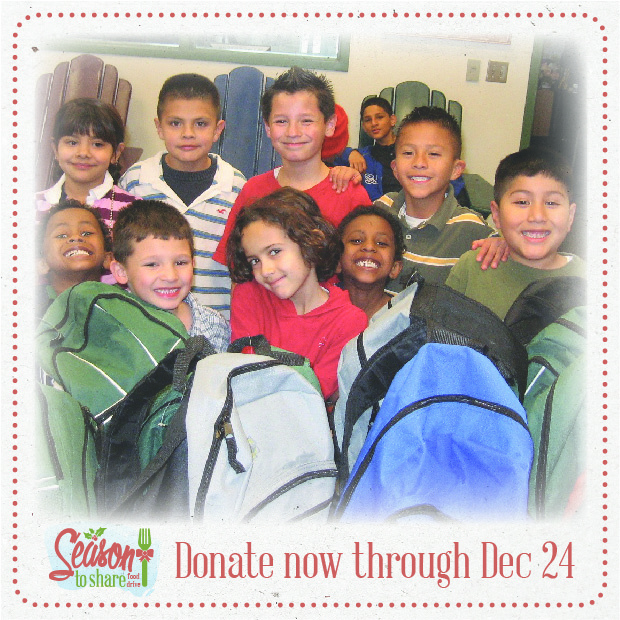 If so, come join us at Dan’s Foothill on November 3 from 9-2. 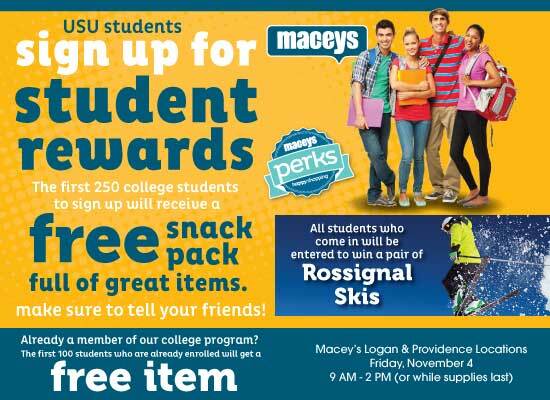 Sign up for our student rewards program*, receive a free snack pack including items from Coke, Frito Lay, US Bakery and more, and be entered to win a free pair of Rossignal skis! See you on November 3! Perks Members, it is YOUR month! 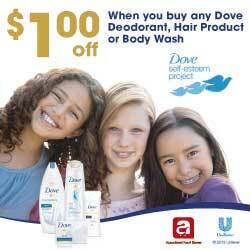 Throughout the whole month of October, Perks members will get $1.00 off when you buy any Dove deodorant, hair product or body wash! Being a parent comes with a lot of joy and fun. It’s wonderful! However, after purchasing diapers, food, toiletries, gear and accessories; your budget may be suffering a bit. That is why we are here to help! Each time you spend $50 in baby products* with your rewards account in one month, you will instantly save $5. Watch the bottom of your receipt to see when you reach $50. Stop by today and save on your baby’s needs. *$50 can be spend throughout the month during multiple trips. Excludes baby formula. We’re celebrating one year of offering you a simplified grocery shopping experience with our partner Rosie! 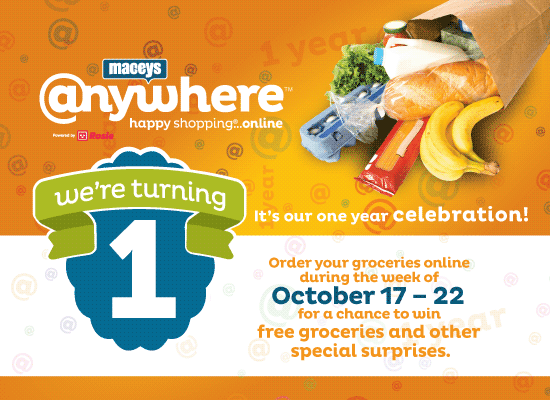 Order your groceries online through Macey’s Anywhere from October 17 – 22 for a chance to win free items, groceries and other surprises. All week long we’re offering a meal deal that includes one rotisserie chicken, Macey’s garlic bread and a Dole salad for only $7! Take advantage of this great deal by searching “Meal Deal” in the search bar and adding it to your cart. 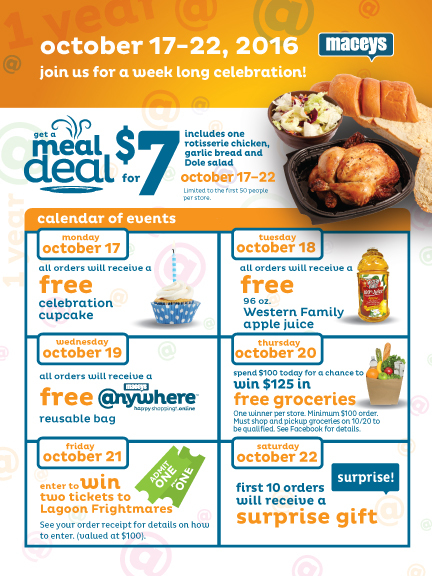 Check out the calendar below to find out what we’re giving away each day. Don’t miss your chance to win $125 in free groceries or two tickets to Lagoon Frightmares valued at $100!